Your toddler will recognize the primary colors really fast playing with collage craft supplies from the amazingly bright Tots Collage by Color Toddler Craft Kit by Alex Toys. 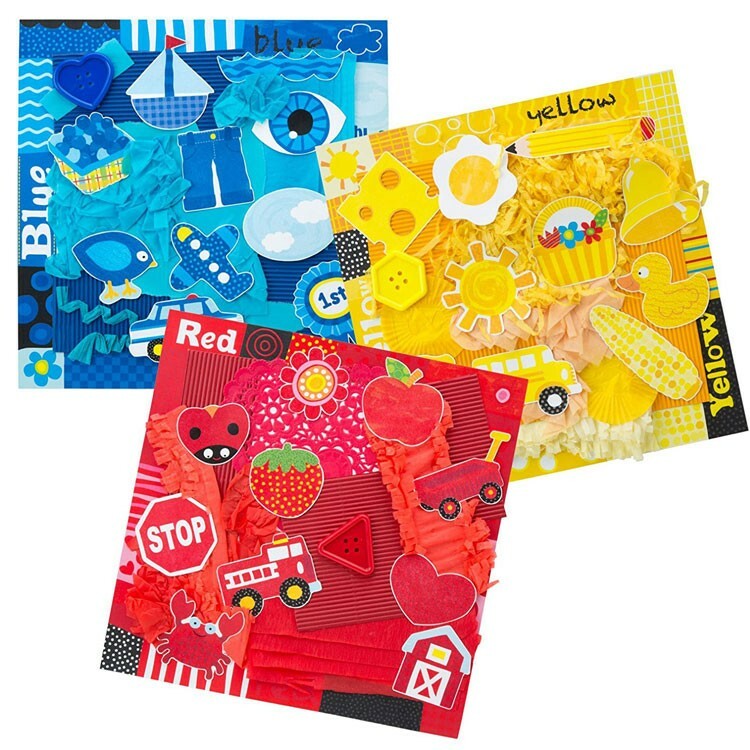 Red and yellow, and bright blue - tons of fun - and no glue! 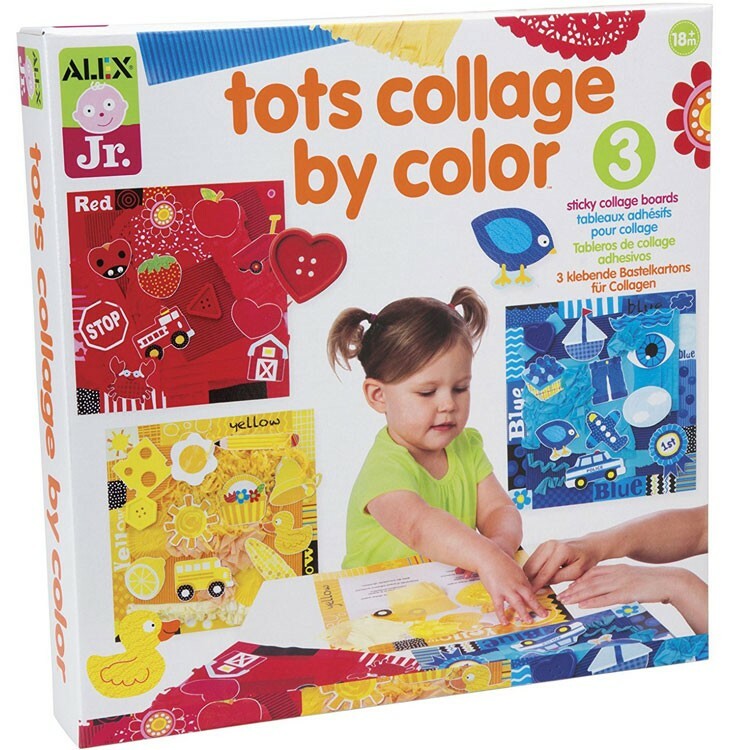 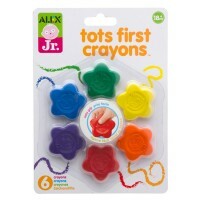 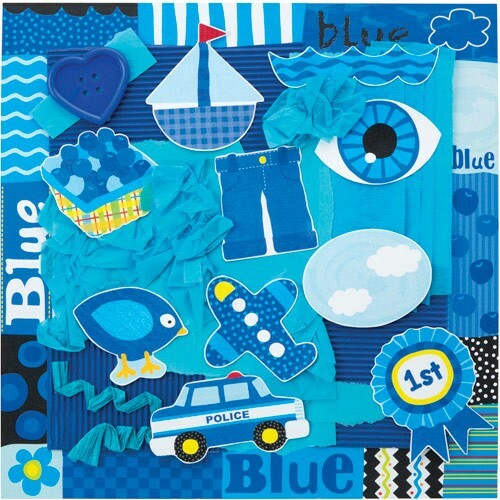 Your toddler will recognize the primary colors fast working with this amazingly bright Tots Collage by Color Toddler Craft Kit by Alex Toys. 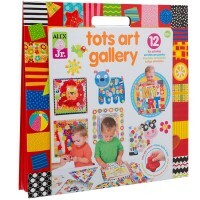 This toddler craft set features 2 toys in 1: color identification and classification learning toy and tot craft activity kit. 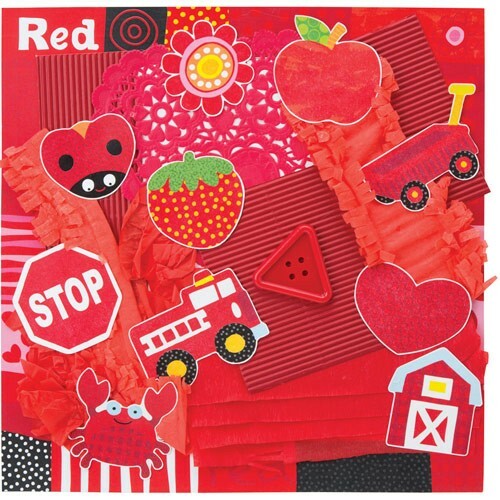 Just press the materials onto 3 peel and stick picture boards, and your color creations will be complete. 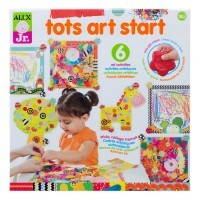 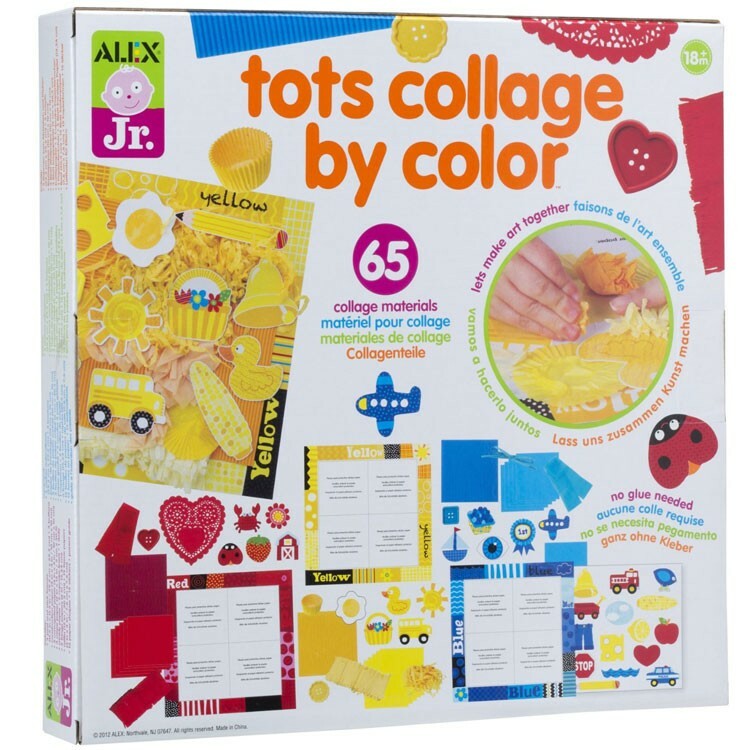 The Tots Collage by Color Toddler Craft Kit from Educational Toys Planet includes 65 collage pieces such as printed cutouts, oversize buttons, crepe paper, tissue paper, cupcake liners, corrugated cardboard, a dolly and stickers. 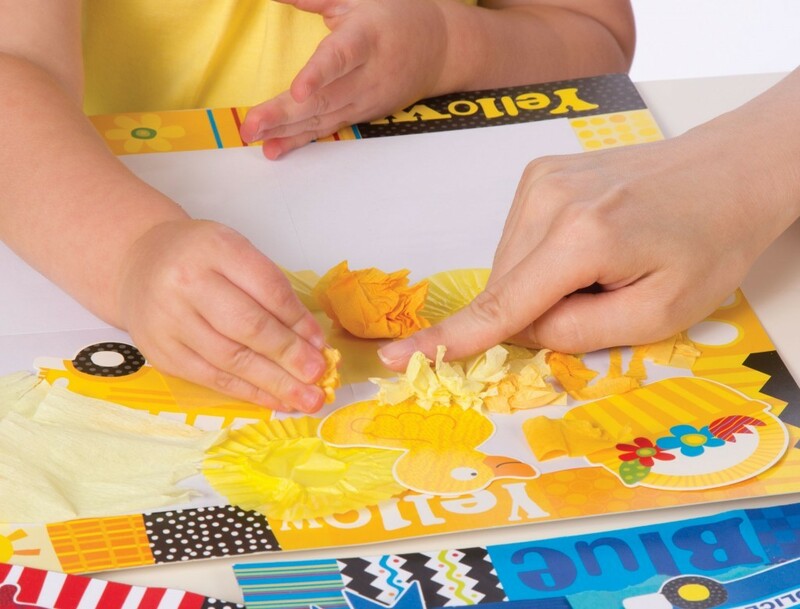 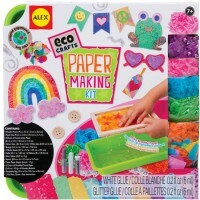 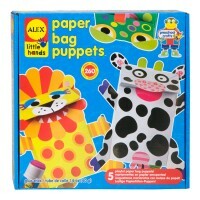 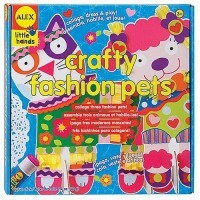 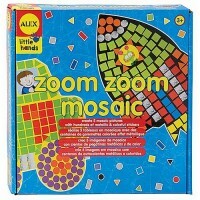 This first color craft kit enhances logical thinking and offers creative learning experience for your toddlers. 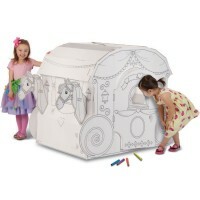 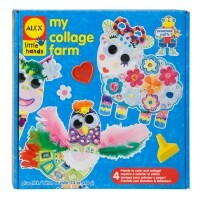 Write your own review of Tots Collage by Color Toddler Craft Kit.